The next version of Android mobile operating system has finally been announced by Google named version 4.3, the latest version comes with the latest Nexus 7 tablet. The name is still the same ‘Jelly Bean’ and this is the third android version carrying the same name tag, the first two being Android 4.1 and Android 4.2. It’s been around nine months since Google launched Android 4.2. There are not many changes in the latest Android operating system apart from some newly introduced features. 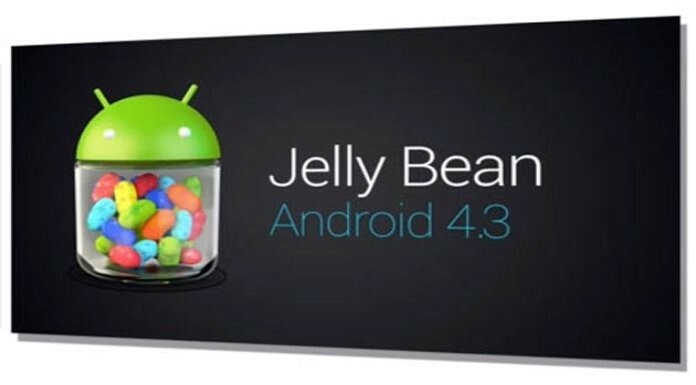 The Android 4.3 OS is initially available for Google’s Nexus devices like Nexus 10, Nexus 4 tablet and Nexus 7. Android 4.3 devices will be Bluetooth Smart Ready that means these devices will be able to support low-energy Bluetooth enabled accessories like pedometers, thermometers, heat rate monitors and others. A user can sync these low-energy devices with their Android device without any effect on the battery usage, according to Google. Google has already introduced multi-user profiles in its last Android version. It seems like Google wants to increase the user experience by implementing restricted profiles in Android devices. With this new feature a user can restrict usage of apps and content consumption like we do on a PC. You can create multiple users on an Android device and allocate permissions related to content usage. This is very helpful in case parents want to control the device access for their kids. As of now this feature is only available on Android tablets, may be later Google could also introduce it in Android Phones. If you are a gaming lover, you will love the new operating system as Android 4.3 supports very high quality graphics for games and media apps. According to Google the new OS supports the latest high performance graphics and gaming would be real fun with detailed textures, amazing graphics, lens flare and better reflections. This feature was not available in Android 4.2. This is not a newly introduced feature as it is already available on many HTC and Samsung devices as they had their User Interface skins running on top of the Android operating system. However this feature was not available on devices running stock Android. A user can activate Dial-pad autocomplete feature by just going to the app settings and selecting the option ‘Dial Pad autocomplete’. With Android 4.3, you can control and interact with your status bar notifications in a better way. A user can see all notifications at one place. Because of this feature interaction with other connected devices will be easier such as smart watches and fitness bands. Because of this feature users can now change or correct their details entered while signing-in to the device for the first time. A user can now change the information that was entered during the first boot of a device. This is all because of streamlined user agreements in the new Android version. An upgraded algorithm for typing and keyboard input is available in the new Android version that will make text input easier when you chat via messages or compose emails. Emoji keyboard has been introduced in Android 4.3 which was earlier available in iOS. Android 4.3 offers additional functionality while syncing with Bluetooth enabled car audio system. The Bluetooth AVRCP 1.3 version enables a car stereo to display information such as song names while playing music on an Android 4.3 device. Music lovers will surely love this feature. Android 4.3 supports better location accuracy because of location scanning through Wi-Fi. Apps can get location details even if Wi-Fi is off and not being used for data. Android 4.3 will have support for African, Zulu, Swahili, Amharic and Hindi languages. Google has also introduced support for Hebrew and Arabic languages in the home screen, Phone, Settings, People and some other apps of Android devices.